Home Features Have Chelsea just shot themselves in the foot? Selling a Chelsea player of the season is pretty inexcusable at any time. Selling a player of the season to a league rival is indefensible. Selling a player of the season to a league rival in the January transfer window is completely incomprehendable. No two ways about it, seeing Mata in a Manchester United shirt is going to be sickening. There is only Mourinho we could ever trust with such a decision but, for many Chelsea fans, losing a player of the calibre and character of Juan Mata is beyond belief at this moment in time. We have to hope it is the right decision and one that the manager, board and club don’t come to regret as this campaign and forthcoming seasons progress. With the sale of De Bruyne earlier this month and Mata’s departure, at present, the options for our attacking trident looking to be spread worrying thin as we aim for silverware across three competitions. In the short term the logic of only having Hazard, Oscar, Willian, Schürrle and potentially Ramires for the attacking midfield options seems somewhat short sighted. One injury and our threat from attacking midfield would undoubtedly be weakened. There are very promising attacking players currently progressing through the youth set-up and the likes of Thorgan Hazard, Lucas Paizon and Victor Moses are out on loan – the future may be bright but it still doesn’t help us for our aims in the current campaign. Finding a player of the standard of Mata with seven days of the notoriously difficult window remaining looks nigh on impossible – perhaps the club have a ready-made replacement such as a Drexler or Salah up their sleeve but it looks doubtful at the moment. There has been talk that selling Mata can help our league position with United having to play our direct league rivals over the coming months and stealing valuable points off our competitors. This could work in our favour but Manchester United are a big club in trouble – struggling for form, belief and even a Champions League place. We’ve just sold them a world-class player and may just have helped turn their fortunes around at a time when they are in a downward spiral. Previous seasons have seen our rivals refuse to budge on big name targets such as Modric and Rooney, yet we have been quick to oblige and sell an asset to a competitor – strengthening their squad whilst weakening our own. It will be no surprise to see Manchester United add to their squad in the summer and build on the pulling power of their record signing. Next season Manchester United will be back in the mix for the title. Ultimately though, it is the player’s decision. Mourinho challenged Mata to deliver more for the team, a challenge he didn’t want to meet and others have relished. In the second half of the season Mata could have worked hard to get himself into the side and helped Chelsea win the title, the Champions League or the FA Cup. Cup-tied and in the doldrums of the league the best he can hope for in Manchester is winning a Champions League place. Professionally it makes little sense to pass up on titles but, for a career, the offer of more money and an easier life by getting more minutes on the pitch is understandable. 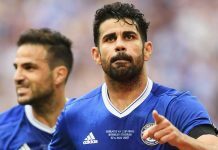 A place in the world cup squad is more important than what Chelsea can achieve? Mourinho’s decision to part with De Bruyne and Mata suddenly starts to make sense – if it’s not the team and the club first then, whoever you may be, it’s thank you but goodbye. Next articleCan Chelsea challenge on both fronts?